The Wardlaw + Hartridge World Language Department offers an exchange program with our sister school: Altair Colegio Internacional in Madrid, Spain. This exchange program was established to give our students the opportunity to expand the study of a foreign language from their foreign language classroom at Wardlaw + Hartridge to the outside world. Exchange programs give our school and our sister school the opportunity to study, live, communicate, travel and teach with and in each other’s schools. In addition, cultural exchange programs give the opportunity for us to host foreign students, establish personal relationships with members of other countries, and to study abroad in safe environments. Such language and cultural exchange programs give the W-H community the means by which to form and maintain lifelong friendships with members of different cultures of their own. In addition, giving students a chance to visit a foreign country, go to school with their host brother or sister, use the target language on a daily basis and make new friends with students from different cultures enables us to provide our students with an understanding of the target languages we teach in a way we would never be able to achieve in the classroom setting. The Wardlaw + Hartridge School's Spanish Exchange Program gives our Upper School students the opportunity to expand their study of Spanish from the language classrooms to the outside world. Our sister school, Altair Colegio Internacional, is located in Madrid, Spain. Our schools work closely together to pair students with families and plan exciting and academic activities in both Madrid and New Jersey. 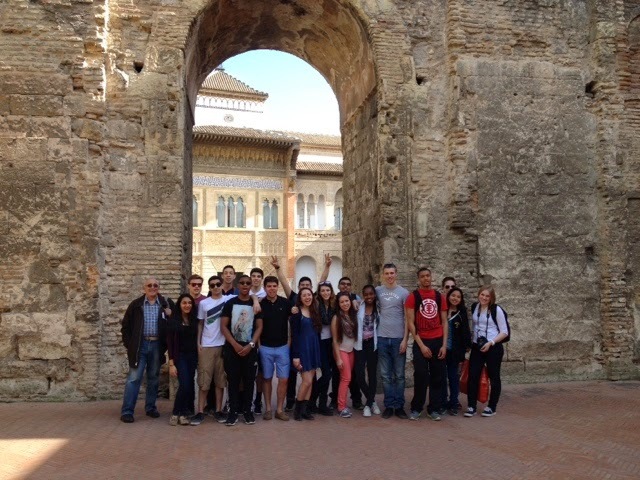 While in Spain, our students attend classes in language, culture, history and geography. In addition, they participate in school activities, physical education classes, and take daytrips to various cities including Toledo and Avila. Exploring Madrid is also a vital part of our two-week stay. We visit architectural treasures such as El Palacio Real and El Escorial and view the Velasquez’s, Goya’s, and El Greco’s masterpieces at El Prado. Similarly, when our Spanish guests visit New Jersey, they attend classes with their host students. They are also partnered with one of our Lower School classes to serve as a “buddy” during their stay. Several times a week, the “buddies” visit their assigned classes to teach the children about their homeland, learn more about America, and practice English. The Spanish students also travel into New York City to visit popular sites.